Snowmass genetics x El Nino genetics! Superb pedigree..... every ancestor is a champion maker. 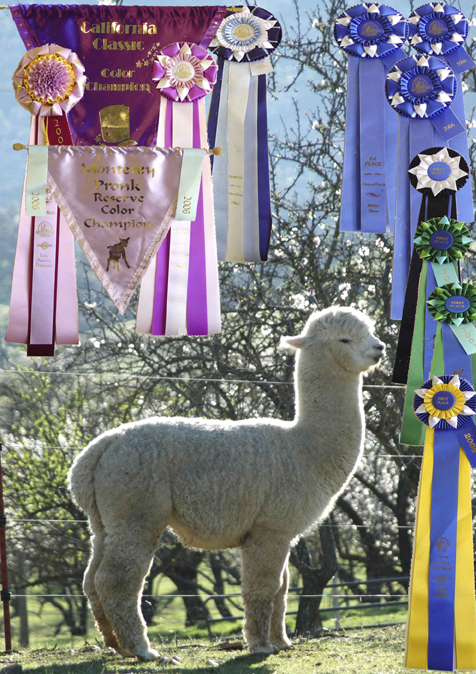 Has won ribbons at the National level at halter and in fleece under experienced judges. Has produced progeny that have won championships at the national level. Oh, and was also a king pin of the Snowmass breeding program. DOB: 02/17/09: Gorgeous!!! Matisse is a wonderful doting mother... she breeds easily, births easily and has lots of milk for her babies and anyone else's who comes along for a snack now and then... she doesn't mind sharing. Her fleece is dense and still yummy soft and spins very well. 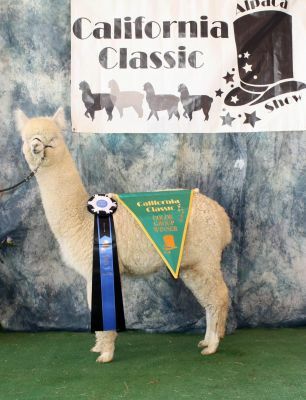 Her 2012 cria Starquest's Lucky Lady is gorgeous!!! 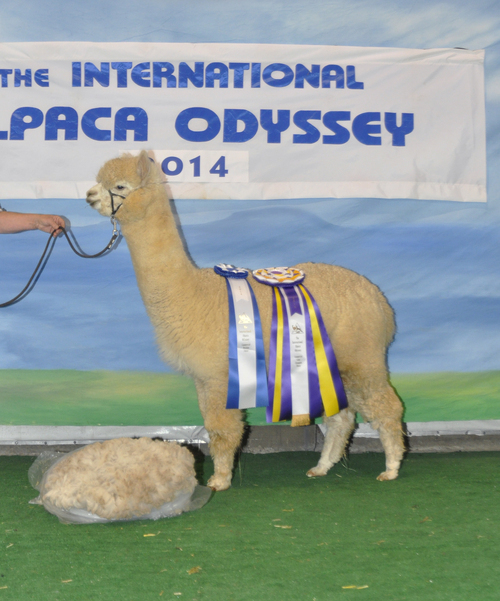 Derwydd Alpacas proudly co-owns this fantastic male with Delphi Alpacas and Prairie Moon Alpacas. 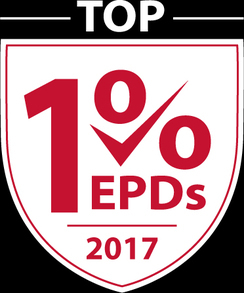 2017 EPDs just in and this female is AMAZING - based on her EPD's we are switching her fall breeding to Accoyo Manchu cause their EPD's match up SO well. So the CRIAS NATAL EPDS will BE!!!! Drum roll here!! Yes its a bit of a line breed on Manchu - since he is Ladys Grandfather, but we think its WORTH IT. Pretty much this breeding is to produce a REPLACEMENT for Manchu... ok or a production female that will go into my herd. 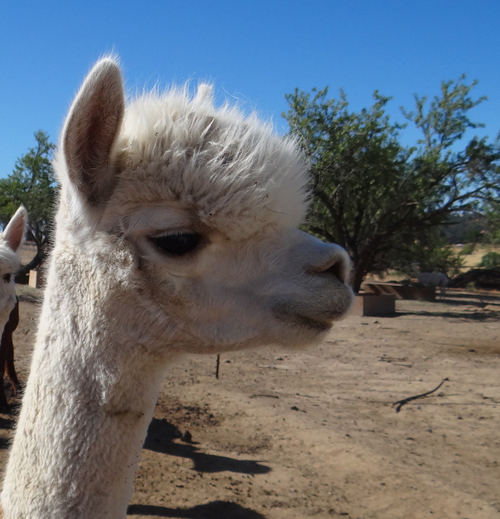 But, if you twist my arm hard enough I will sell her with this cria. Amazing pedigree with Snowmass on top and El Nino on the bottom. Square frame, lovely fleece with bundling thruout, stunning head.